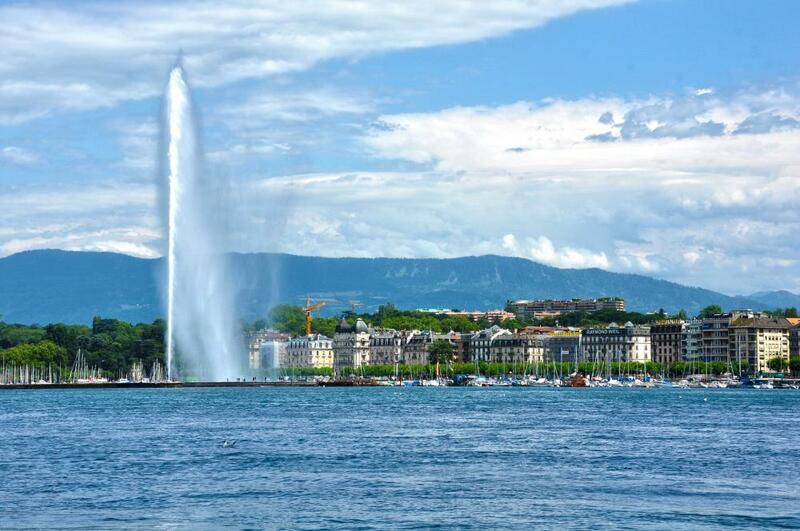 There are several venues available for private events and trade shows in Geneva. The major exhibition center is the Palexpo which includes seven halls with over 106,000 square meters of space with no pillars to interfere with your exhibit. If your company is embracing “going green”, the Palexpo has been recycling their waste since 1992 and has 30,000 square meters of solar panels on the roof for electricity. Switzerland is not a member of the European Union, so international shipping documents and protocol are required. Shipments coming from an EU country, need the same type of documentation. Remember to take plug adapters for any electronic devices or products for demonstration. The grounded Swiss plug has prongs closer together than European plugs. Hotels and electrical contractors may have capabilities to accommodate EU plugs but packing Swiss plug adapters will avoid last minute problems. Exhibit structures can be a system or custom fabrication. Exhibit design is subject to show management approval and adherence to safety regulations. Need help planning your next trade show or event? For assistance contact us by email or call us at 817-370-1400.